THOMAS M. JETT. "Some men are born great, some achieve greatness, and some have greatness thrust upon them." The subject of this sketch is one of those men who achieve their own success. Most of our public men, and men who have legitimately grown rich, are men of intelligence, integrity and perseverance. Of this class Mr. Jett is an honored member. He is intensely patriotic and American in sentiment; a representative man of his type, in full sympathy with the progress of the times. Thomas M. Jett was born near Greenville, Bond County, Ill., May 1, 1862. His father, Stephen J. Jett, was a native of Virginia, though he came with his parents to Illinois at a very early age, so that the most interesting memories of his childhood are connected with his home in the Sucker State. Mr. Jett, the grandfather of our subject, was an extensive planter in the Old Dominion and owned a great many slaves. The mother of our subject was born in North Carolina in 1829. Her maiden name was Nancy Booher. 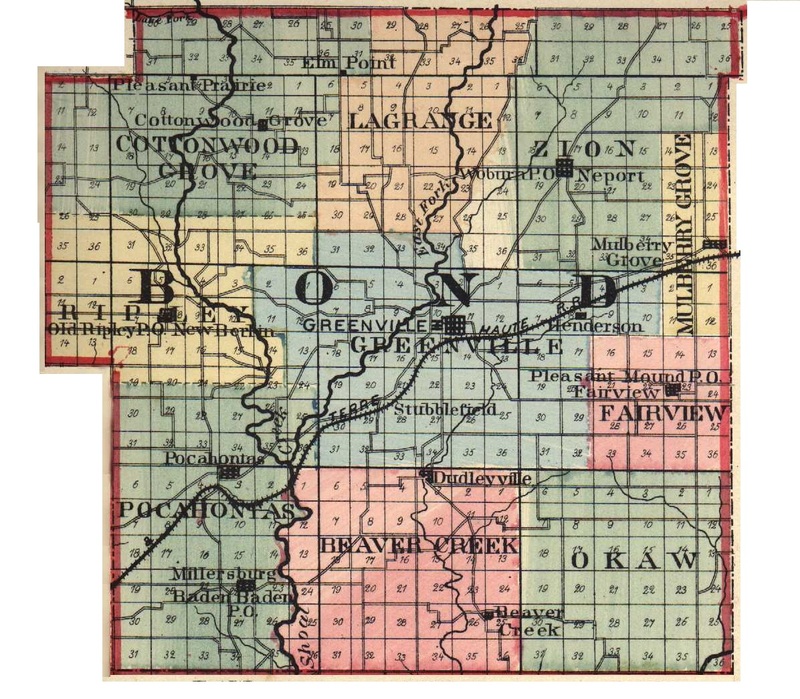 Her father, John Booher, was among the early settlers of Montgomery County, Ill. Thus we learn that two of the Old Colony States are represented in our subject and that he traces his lineage from the brave men and women whose stout hearts and noble deeds "made and preserved us a nation." Stephen J. Jett was a prosperous farmer, doing much to advance the interests of agriculture in his vicinity, hence, the early life of our subject was spent on the farm. He attended the common school of his neighborhood, laying well the foundations for the liberal education which he later secured in college at Valparaiso, Ind., graduating from the scientific department of that institution with high honor in 1884. From his earliest years, he was a favorite with his associates, and his quick, intellect and studious habits, together with a frank and friendly manner, won for him many a bright prophecy in regard to his future. After his graduation, our subject became a teacher in the public schools of both Bond and Montgomery Counties, during which time he commenced to read law, and in March, 1885, he became a student in the office of Judge Phillips, of Hillsboro. In June, 1887, he was admitted to the Bar and soon after located at Nokomis, where he first hung out his shingle. It was not long before his logic, eloquence and ability attracted the attention of his brother attorneys and the citizens of Montgomery County, and in the spring of 1889 he was brought to the front by his party and elected to the responsible office of State's Attorney for that county, the duties of which office he has performed for the past three years to the great satisfaction of his constituents and much credit to himself. During the convention in the spring of 1892, he was renominated for another four-year term with but little or no opposition. Mr. Jett selected his life companion in the person of Miss Mollie Clotfelter, and their marriage was celebrated on the 24th of December, 1889. One child, Ross W., has been born to this union. Mrs. Jett's father, James W. Clotfelter, is a prominent farmer and stock-raiser of Hillsboro. Like his father and grandfather before him, Thomas M. Jett is an enthusiastic Democrat, and a leader in their councils. He is a prominent member of the Masonic fraternity, also a member of the Knights of Pythias, and one of the county's most energetic, and thorough-going citizens. He is a man of fine personal appearance, and magnetic influence. A bright future is opening before him. He is in the prime of life mentally as well as in his physical health. From his past record, we judge that whatever may betide him in the future, there will be no occasion to doubt his honesty of purpose and devotion to duty. Logical in thought, terse in speech, pleasant in address, when he speaks he wins respect and commands attention. Illinois has no brighter or more genial man than Thomas M. Jett. Extracted 20 Dec 2016 by Norma Hass from 1892 Portrait and Biographical Record of Montgomery and Bond Counties, Illinois, pages 347-348.